NYC, 03/08/2019, 7:00PM. 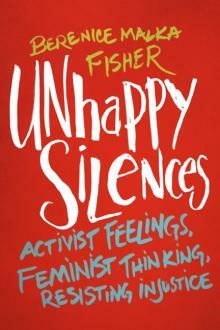 Unhappy Silences: Activist Feelings, Feminist Thinking, Resisting Injustice. Reading from her new book, Berenice Malka Fisher shares her own and other women activists’ stories about both speaking out and remaining silent in numerous peace and justice movements from the 1950s to the present. Through analyzing these accounts with the help of many feminist authors, she shows how closer attention to the feelings contained in these silent moments can strengthen collective resistance.